Here’s a creative promotional idea for you! 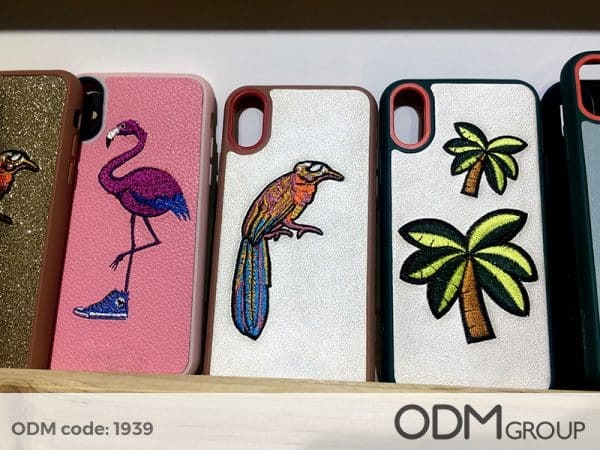 These custom phone cases with unique embroidered logos are artsy and truly eye-catching. They are perfect for promoting cell phone brands and gadgets. Designs are suitable for students, teenagers, and adults. Design is the first thing customers will notice about your brand. It is, therefore, important to ensure that your promotional products are unique and visually appealing. 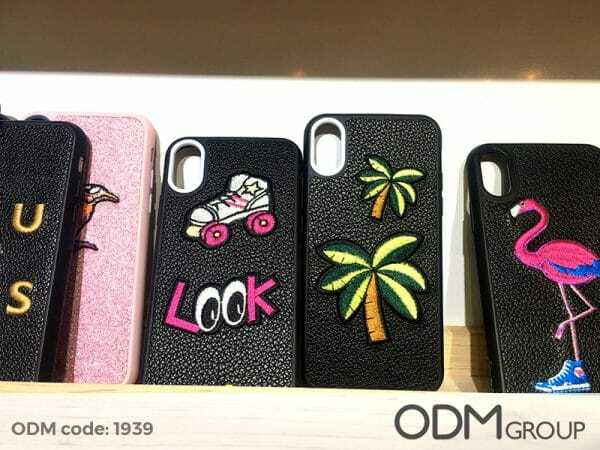 Cool Designs: These custom phone cases feature vibrant embroidered designs. Customers can choose from a wide variety of patterns including palm trees, animals, food, hand gestures, and more. LogoPremium Quality Materials: The base material is made from leather and threads are of high quality. Premium-quality materials enhance longevity and durability of design. Vibrant: Leather gives off a classy vibe that’s perfect for business setting. The embroidered designs add a punch of color to the background. Phone cases make great promotional gifts because they are tremendously in-demand and are customizable. Just imagine how much people will love your embroidered phone cases! Unique Branding: Unlike stickers or paint, embroidered designs are longer-lasting. With proper care, you can preserve its aesthetic appeal. This means your branding visuals will not fade easily, and will stick with them for longer. Protection: Nobody wants a broken screen. Phone cases are great for keeping your smartphones in tiptop condition. Reliable promotional items can effectively boost your brand’s reputation. In-Demand: There’s an increasing demand for phone cases since most people are using smartphones nowadays. Interest in this merchandise will not die down soon. Therefore, it opens great opportunity to increase sales. Cool Factor: People equate cool freebies with cool brands. Customers will be proud to carry your custom phone cases with embroidered logo around. The vibrant design makes your promo item appealing to youngsters, professionals, men, women, and parents. It attracts a wide range of audience, thereby strengthening brand exposure. To sum it up, it’s important to be original in your marketing approach because this will set your brand apart from your competitors. Moreover, it helps spread your message in a more pleasing manner. Love these custom phone cases with embroidered logo? Send code 1939 to get quote for this product. For more promotional ideas, leave us a message here. ODM is always ready to help with design, marketing and advertising needs. Retro Promos – Vitasoy iPhone 4 cases.